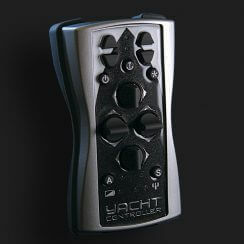 Yacht Controller JCS PLUS can be used alone or integrated with the popular and UNIQUE wireless remote control mooring systems, Yacht Controller DUAL BAND and/or Yacht Controller SMART . 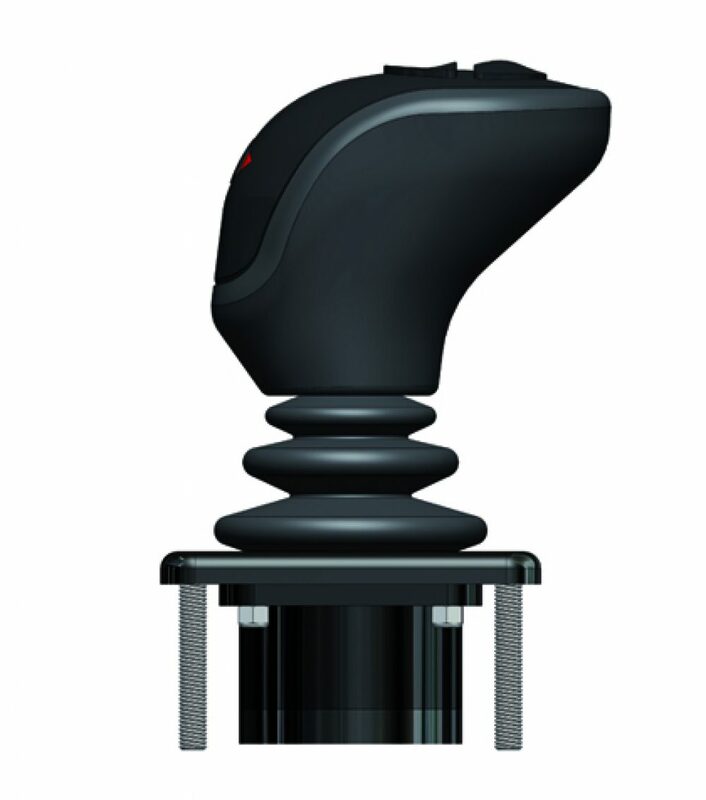 With a simple movement of the hand, the Joystick JCS allows simultaneous operation of the motors and of the bow and stern thrusters, enabling you to moor and move the boat in any direction simply, without risk and danger, precisely and with total ease. 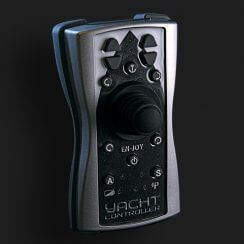 Yacht Controller JCS PLUS is very easy to install, with no difficult, invasive and costly work in the engine room; moreover, it does not require cables to be installed along the length of the boat but, after identifying the type of electronic throttle control installed on board, it is installed rapidly in proximity of the control station selected, either on the flybridge or in the saloon. 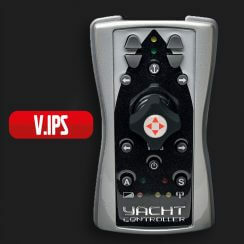 Moreover, if the boat is already equipped with a Yacht Controller Smart or a Yacht Controller DUAL BAND system, it can be installed simply by attaching a connector to the receiver already installed aboard. 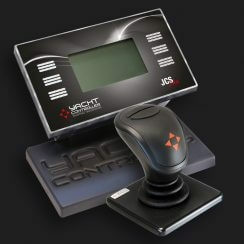 Unlike other joysticks present on the market, Yacht Controller JCS PLUS offers maximum flexibility thanks to its automatic and manual modes. In automatic mode, the motors and the thrusters are used simultaneously to facilitate mooring manoeuvres even for those with less sailing experience. In manual mode, the thrusters can be activated as required, both together with the motors or separately, for better control of the manoeuvre you wish to perform. 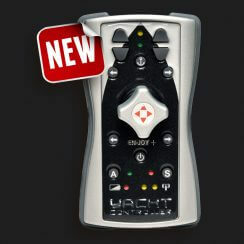 Yacht Controller JCS PLUS is also the only one equipped with a control panel with LCD screen, also visible in sunlight, which has a clear and practical design of the boat with indication of motors and thrusters, showing you exactly what is activated in the manoeuvres being performed. The JCS panel can be used to configure the various operating modes, select language, units of measurement, accurate diagnostics and many other features. 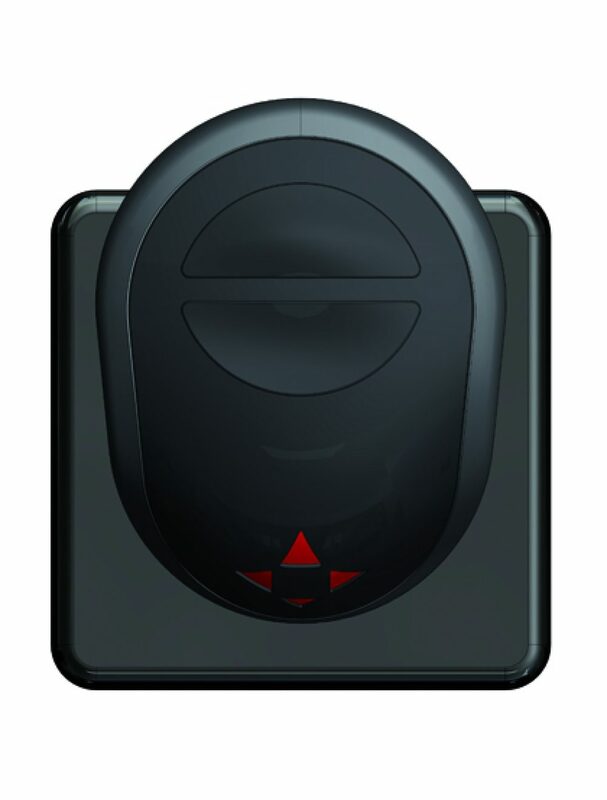 With throttle controls equipped with digital protocol, it can be used to manage acceleration, with different settings depending on the percentage of acceleration selected and its supply time. If the windlass (single or double) option is present, the weighing/lowering function with chain counter can be controlled from the JCS panel. 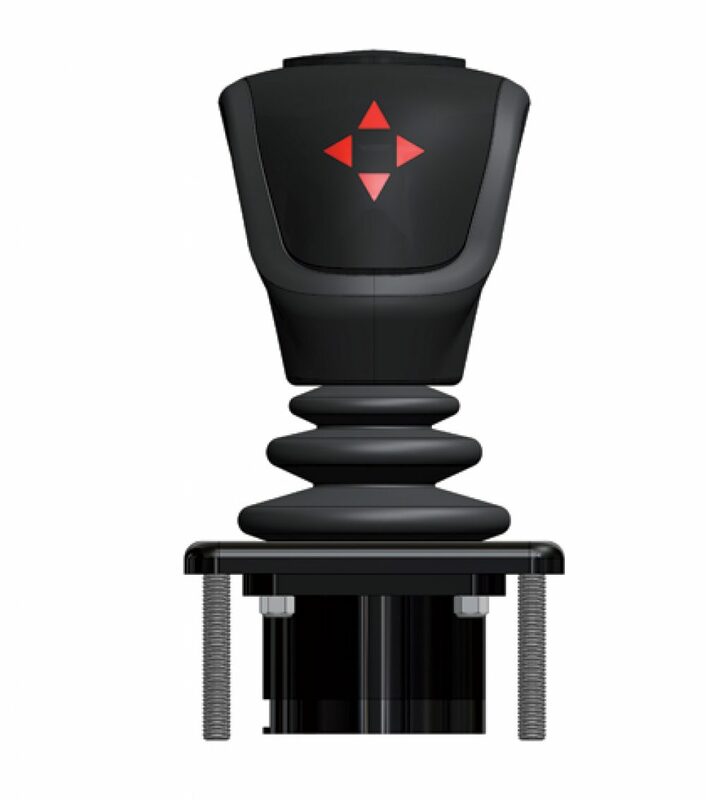 It can also be integrated with the function SSS (Secure Sail System) developed by MZ Electronic, which allows retrieval at standard speed during weighing of the anchor up to the last 3 metres of chain, subsequently slowing down progressively to retrieve the anchor at minimum speed. 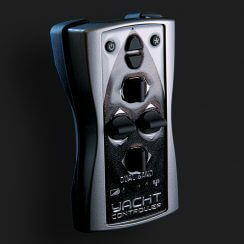 This prevents the risk of damage and protects the windlass from harmful jerking that can cause breakage. System will stop anchor when totally weighed. The YC JCS PLUS joystick is all this: another valid and essential aid for managing your boat, designed for you by Yacht Controller.